JYJ’s Kim Jae Joong, acting in his first historic drama, has learned just how painful topknots were for his ancestors…through personal experience. The picture revealed Kim Jae Joong sitting down and dressed in his character’s role. 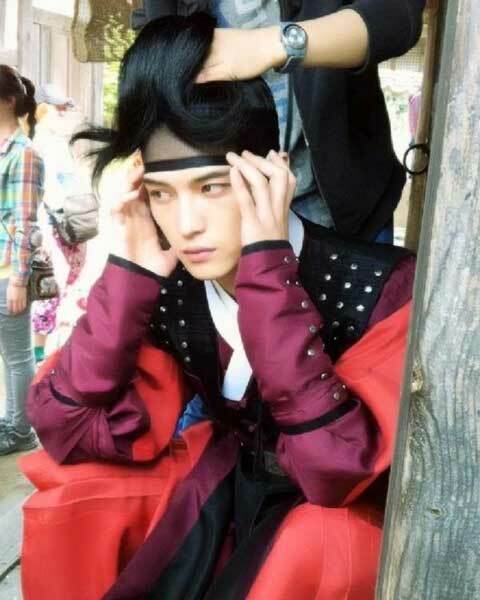 A staff member could be seen behind him helping him put up his topknot while Kim Jae Joong seemed to experience some discomfort by his expression and his hands on his face. Time Slip Dr. Jin will premiere on May 26 and also stars Song Seung Hun. This article originally published at enewsWorld here.